NEW YORK (CNNMoney) – The winner of one of the largest lottery jackpots in history has been revealed. Jeff Lindsay and his family turned in the lone winning ticket for a $447.8 million Powerball jackpot to the California Lottery. But the family would like to remain as private as possible. “We are obviously thrilled with this tremendous stroke of good luck and are still getting our arms around what it means for us,” said Lindsay, in a statement provided by California Lottery. The jackpot is the seventh largest in Powerball history and the 10th largest in U.S. history. The Lindsays say they’ll take a lump sum payment of $271.1 million before taxes. 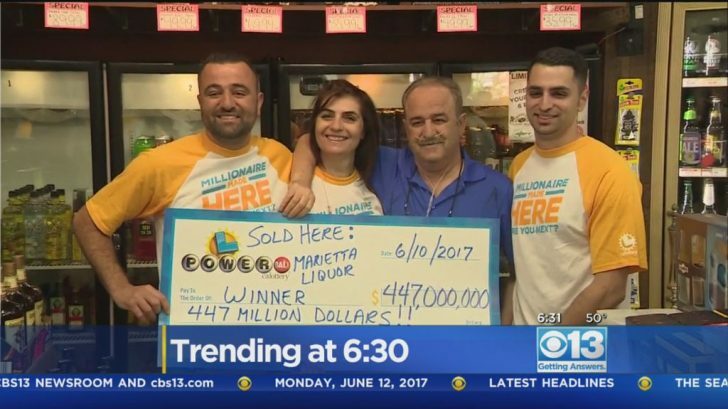 Powerball announced last month that a winning ticket for the nearly half a billion dollar jackpot was sold at Marietta Liquor & Deli in Menifee. But the winner had not come forward and his identity was a secret, until now. 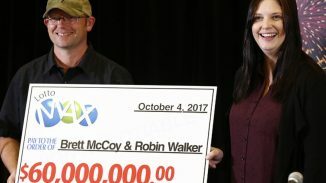 California Lottery said that Lindsay bought Scratchers tickets and cashed in a winner for an undisclosed sum of money, which he used to buy 10 Powerball tickets, and one of those was the jackpot winner. California Lottery said the winning Powerball ticket sat on Lindsay’s kitchen counter for a while, until he heard that the winning ticket was bought in a store in the Sun City community of Menifee. The Alberre family which owns the liquor store will receive $1 million for selling the winning ticket. If it seems like Powerball jackpots have become more common, that’s because they have. Six of the 10 largest Powerball jackpots ever have happened since the start of 2016. The reason: Powerball changed its formula in October 2015 to give players more numbers to choose from, the chance at bigger jackpots, but longer odds to win.